Occasionally, a game comes along with great ideas and mechanics that becomes an industry standard, copied endlessly. The shooting from cover, regenerating health, or stamina systems are good examples. Some games step beyond that and define an entire market, with competitors jumping onboard to get their own piece of the pie. Here, you'll find games like World of Warcraft, PlayerUnknown's Battlegrounds, Hearthstone, Assassin's Creed, and Dark Souls. Success breed imitation. Life isn't happy in the Warhammmer universe. Sometimes though, a great style of gameplay doesn't find itself being copied endlessly. Sometimes a mechanic stays within its own lane. Left 4 Dead and its sequel, Left 4 Dead 2, are wonderful cooperative action experiences, pitting 4 players against a shifting, remixed zombie horde. Despite that, the number of imitations and expansions on Left 4 Dead's concept can be counted on a single hand. 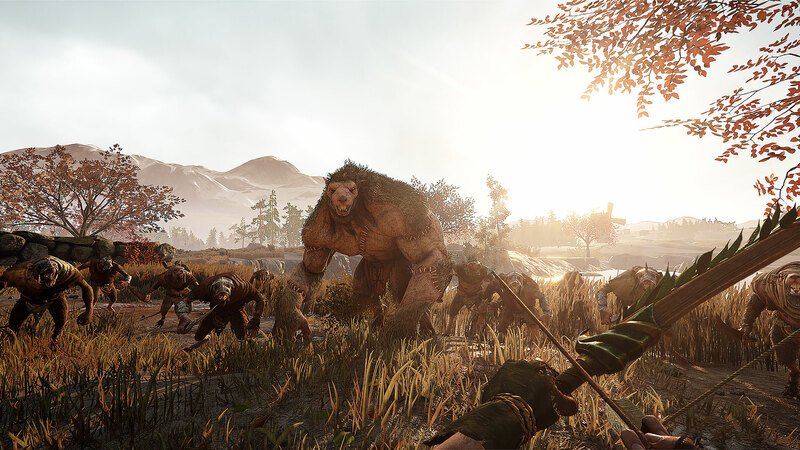 Even Left 4 Dead developer Turtle Rock Studios moved on to Evolve. 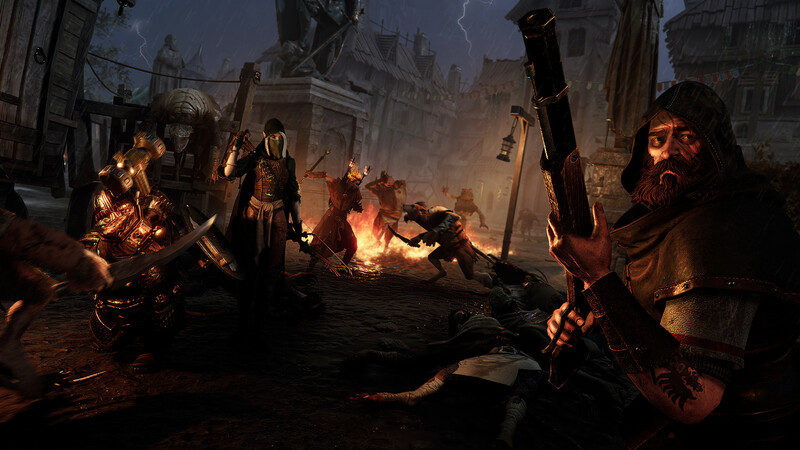 One of those imitators was Warhammer: End Times – Vermintide from FatShark. In Vermintide, a group of four players teamed up to push back the horde of Skaven, Warhammer's creepy ratmen. Like Left 4 Dead, the excitement and tension comes from working together to adapt to different situations thrown at you by the game's artificial intelligence. 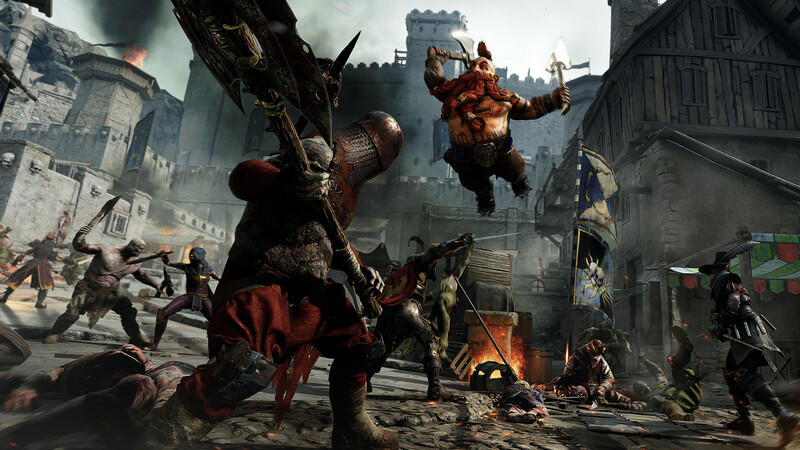 Unlike Left 4 Dead, Vermintide was a first-person game that leaned more towards melee combat. Players could also choose their class and slowly level them up over time, getting better weapons, armor, and equipment. Vermintide was a success, especially since it didn't have much in the way of competition. 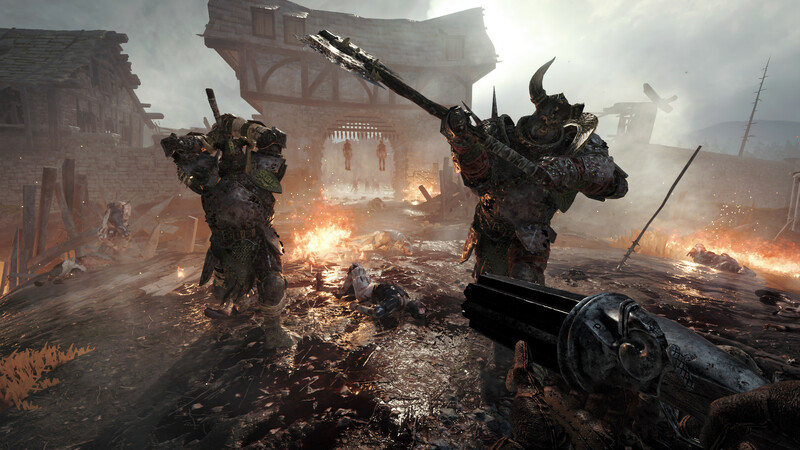 Two years later, Fatshark is building upon that success with a sequel, Warhammer: Vermintide 2. The Handmaiden is one of the careers available to the elf Krellian. There have been additions to Vermintide 2, but what's surprising is how much much of the core experience is unchanged. Players still have the same five heroes to choose from: the Witch Hunter, Empire Soldier, Dwarf Ranger, Waywatcher, and Bright Wizard. You're still protecting the city of Ubersreik and fighting untold waves of Skaven. The game's story picks up where the last game ended, with the same heroes fighting their way out of Skaven captivity. If you're an avid Vermintide player, you can roll right into Vermintide 2. Like its predecessor, Vermintide 2 excels in creating moments of tension. The AI-driven Conflict Director is built to keep the game lively for players. The levels you play may largely be the same on each run-through, but what changes is what's in those levels. One time you may find Skaven around the corner, but the next time, it'll be a special Chaos warrior. When you think you're doing well, you'll hear a warhorn, which lets your team know that a raid is coming. When you're suffering with little health or low on ammo, you'll find a cache of ammunition and help potions around the corner. A raid or an Elite is a scary thing because your heroes in Vermintide 2 aren't the hardiest folk. Confidence in your abilities will turn to abject fear after a few hits. You can go from full health to kneeling on the ground in under 20 seconds, leaving you to hope your team isn't suffering as poorly as you are so they can give you a helpful revival. You'll lay there on the ground, continuing to take damage from whatever killed you, praying for a break in combat. No matter how good you get, you never really feel like you have everything under control. This was true of Left 4 Dead and Vermintide, and it remains true for Vermintide 2. 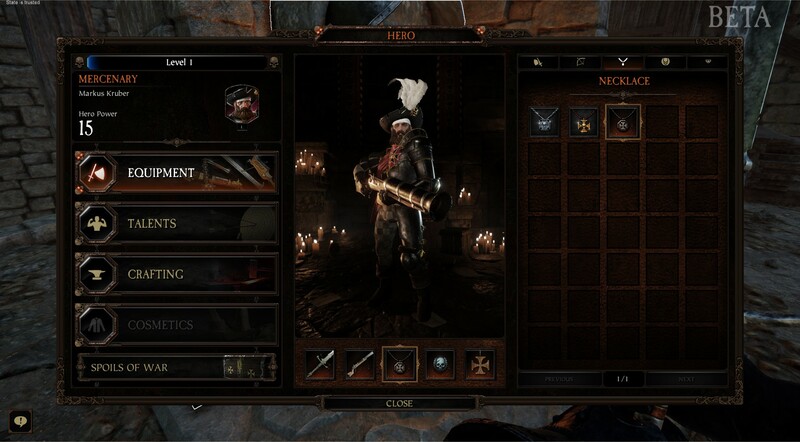 Vermintide improved upon the Left 4 Dead experience with RPG mechanics: selectable heroes, progression, and equipment. Vermintide 2 adds some more depth to those systems. While players still have the same five classes to choose between—they're even the exact same characters in terms of the story—those classes now have different Careers. You begin the game with a base career, akin to the class' playstyle in the first game, and can later unlock two additional careers. As an example, Victor Saltzpyre was the Witch Hunter in Vermintide and he begins Vermintide 2 with the Witch Hunter Captain career unlocked. The Witch Hunter Captain splits the difference between melee and ranged combat, not being strong enough to withstand too many melee hits, but lacking a ton of ammo for ranged fighting. In melee combat, the Witch Hunt ability allows the career to tag enemies for additional damage and quickly dispatch foes when delivering melee headshots. In contrast, the Bounty Hunter career shifts Victor towards a primarily ranged hero. With bigger guns, more ammo, and heavy armor, the career drops any pretense of finesse for more brute force and survival. The final career available to Victor is the Zealot, which carries a wicked mace into combat, with a chance to resist death itself and an increase in attack power as health gets lower. Every hero has three careers, which represents different paths their lives could've taken within the game's lore. In terms of play, it adds further options for playable classes. 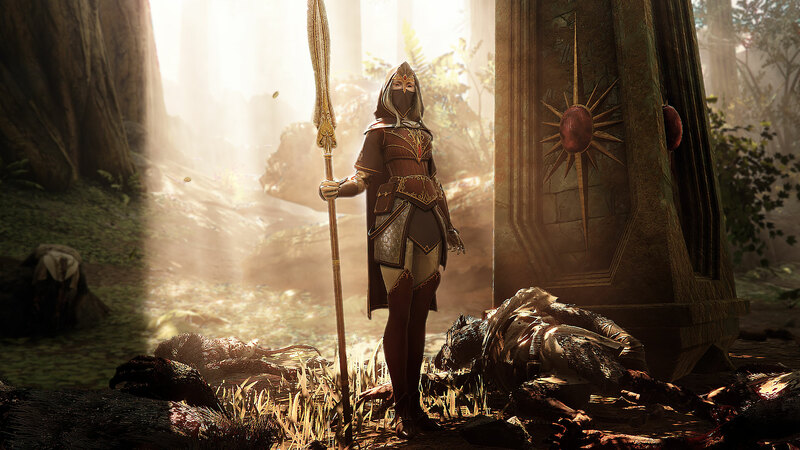 The Waystalker, Shade, and Handmaiden may all be careers for the elf Kerillian, but in terms of play they might as well be wholly-new classes. But wait, there's more (customization at hand)! There are talent trees for each of the careers, allowing players to pick between three abilities every 5 levels. There's also loot, which comes in the form of Loot Boxes. These boxes are given whenever a player levels up a hero or completes a mission, with the rarity of the three items (melee weapons, ranged weapons, and trinkets) inside being determined by factors like none of the team dying and the collection of Tomes or Grimoires within the mission itself. Now, before the "loot box" term hits you in the wrong spot, there doesn't seem to be any way to purchase these boxes through means outside of gameplay. It just mean the spoils of war are mostly random. The sweet waiting room of death. The weapons available to each hero also provide their own flavor. Markus, the requisite human knight of the cast, can use two-handed axes and swords, warhammers, or even the classic Sword and Shield combo. Each weapon has its own techniques in combat and that's not even counting the ranged weapons also available to the hero. FatShark has done a great job of providing a ton of player options and meaningful progression to what was somewhat a flat experience before. You can also break down items to create new ones or upgrade existing gear. It would help if players could actually look directly at their stats, as all the game gives you is a single Hero Power metric. Weapons improve things like critical hit, but there's no way to figure out exactly how much, which makes all of the loot feel less important. Take a page out of Diablo FatShark: let me see specific stats so I can min-max my character! What you don't want to see. This focus on player choice and options means that matchmaking is key in Vermintide 2. The problem on this side is while matchmaking is fast, once you're in a group, you lack tools to really manage it. You can't kick party members that are away from the keyboard or simply not working with the team. And if the party host disconnects, the entire mission is scrubbed, with everyone being kicked back out to the lobby area. I also admit that I found that matchmaking wasn't always a winner; despite the game selling over 500,000 copies since launch, I found that I sometimes had to queue and re-queue to find a full party. The game has a system where it's fill out the last slot with a bot if needed, but that's not really the best of options. 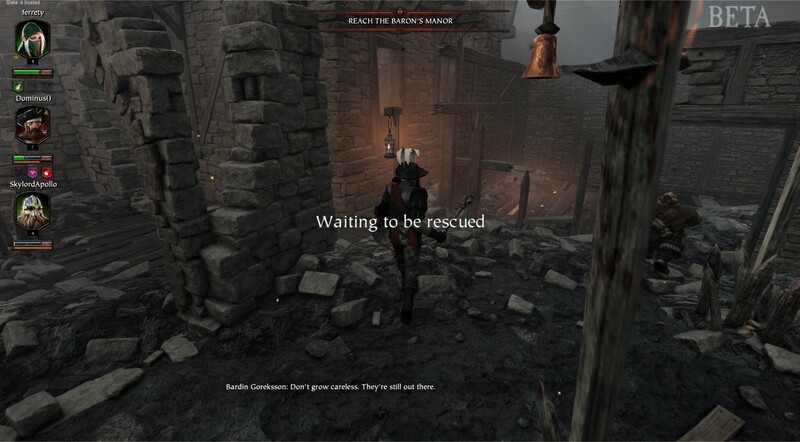 Vermintide 2 also lacks the checkpoints established in Left 4 Dead; if you fail a mission, you can lose 30 minutes worth of playtime to a single Elite enemy or raid. All you gain in that case is experience, meaning finishing a mission is vastly important. The inability to manage your team a problem, especially when mission completion is so key to progression. One area where Vermintide 2 vastly improves is what I call "the wrapping paper". For one, the story gets a solid push this time around. The game begins with a story-based tutorial, letting you know where your heroes and the city Ubersreik currently stand and the open-ended tale is related as you continue to progress through missions. The thing that jumped out at me though was how gorgeous Vermintide 2 is overall. Sure, a lot of the game is ruined cities and towns full of corpses, but there are also vibrant forests, the golden waves of farmland, and dark caves lit with green flame. It's gritty, without completely diving into grey as the primary color. FatShark also nailed the meaty feel of combat, even on a keyboard and mouse setup. Regardless of what hero you pick, you'll spend a lot of time hacking away at the enemy. The impacts feel heavy and the bodies split, fall apart, and explode like you expect. In one mission, I lopped off the arm of an axe-wielding Chaos soldier. He wasn't dead, but he couldn't really attack either, so he just stood there, seemingly shocked, until I dispatched him. Very cool. I also found that the missions themselves offered a lot of variety in terms of look and play. Especially in the final part of each mission, where they get truly crazy. Whether it's the final chapel-based battle of Righteous Stand, or the giant three-level puzzle in one of the other missions, they all feel markedly different. It would be nice if you could enjoy more of those missions in matchmaking though, as I found I was playing the same few levels over and over again for most of my playtime. As it stands, the weight on the progression system is heavy, as certain missions are completely locked behind leveling. Warhammer: Vermintide 2 is a game that still largely stands alone. There are few games that offer up this kind of cooperative experience, meaning FatShark has a chance to innovate without worrying about competition. That could lead to a sequel without many improvements, but it's clear the developer wanted to give players more options. Outside of some issues, what's here is very good. 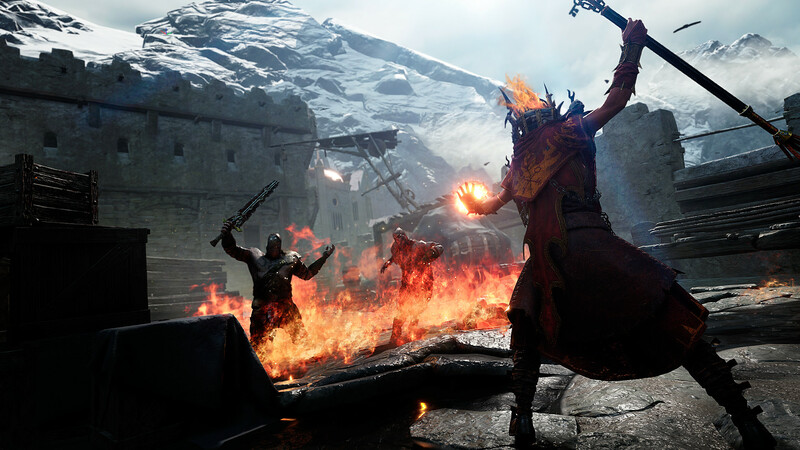 If you want to wade into the forces of Chaos and Skaven, hacking away at their meaty bits, Warhammer: Vermintide 2 is your game. Tagged with Action,	Fatshark Games,	games workshop,	PC,	Reviews. The Shadows Over Bogenhafen descend.